With the final season HBO’s hit series Game of Thrones almost here, it’s time to reacquaint yourself with Westeros! The stunning scenery of Winterfell, Essos, King’s Landing, the Iron Islands, Highgarden, Braavos, and the lands beyond the Wall is part of what draws fans back year after year - and we've got the tips on how to visit the real life inspirations. Get ready to follow the intricate stories of Tyrion, Cersei, Jaime, Daenerys and the Targaryens, the Baratheons, Arya, Sansa, Bran, Jon Snow, the Greyjoys, the Wildlings, the White Walkers…and dozens of other characters, families, armies, kings and would-be kings, sadists, liars, spies, schemers, charlatans, lovers, knights, and dragons as they all pursue the ultimate prize: the Iron Throne. What better way to gear up for Season 8 than visiting some or all of the countries and locations where Game of Thrones has been filmed? Filming locations for Game of Thrones have ranged from Northern Ireland to Morocco, Iceland to Malta, Croatia to Spain. The one thing they all have in common is that they’ve all been spectacularly beautiful while at the same time representing a world of timeless fantasy mixed with gritty Medieval realism -- no easy feat. Castle Ward in Northern Ireland’s County Down is the setting for Winterfell, home of the Starks, where then-King Robert Baratheon came to visit in Season 1. The 820-acre estate includes the house, a sunken garden, and woodland. Tollymore Forest Park, also in County Down, was the haunting scene of a spooky forest in Season 1, where Ned Stark and his sons find the direwolf pups and a member of the Night’s Watch comes across some dismembered bodies of Wildlings. Audley’s Field and Castle near Strangford Lough in County Down is the setting for Robb Stark’s Camp in Season 2, where he met Talisa. Jaime Lannister is imprisoned at Audley’s as well. The Dark Hedges in Antrim form the beautiful beech-tree-lined King’s Road where Ayra Stark escaped from King’s Landing in Season 2. The harbor in the town of Ballintoy along the winding North Antrim coast between the Giant’s Causeway and the Carrick-a-Rede Rope Bridge -- two of the most popular tourist sights on Ireland’s northernmost coast -- has been the setting for the Iron Islands off mainland Westeros. Downhill Beach, also on the Causeway Coast, is Dragonstone in the series, where the creepy priestess Melisandre chants “For the night is dark and full of terrors” in Season 2, making us all shudder. Since Season 2, the walled old city of Dubrovnik, Croatia, on the coast of the Adriatic Sea, has been the setting for King’s Landing, capital of the Seven Kingdoms -- where the ruthless Lannister family rule, plot, scheme, fight with and even murder each other. You know, just your average night at the dinner table. Dubrovnik’s Trsteno Arboretum serves as the peaceful seaside garden where various King’s Landing plots are hatched in private amid flowers and greenery. Outside Dubrovnik’s walls, the bay where cruise ships may be seen on non-shooting days was the scene of the bloody Battle of Blackwater, where King Stannis unsuccessfully invaded King’s Landing in Season 2, with Tyrion Lannister saving the day and his twerpy nephew Joffrey taking the credit. Split, Croatia, up the coast from Dubrovnik, incorporates ruins of Diocletian’s Palace into the walls of its old city. Split was used in Season 4 as one of the locations for the story of Daenyres Targaryen, dragon-bearing Khaleesi (queen) of Essos and another rival for the Iron Throne. The history-seeped island nation of Malta in the Mediterranean stood in for King’s Landing in Season 1 of the series, before it moved to Dubrovnik. The gate to the town of Mdina served as the gate to King’s Landing and Fort Ricasoli formed the exterior of the king’s home. The Azure Window, a natural rock formation extending into the sea on the small Maltese island of Gozo, was the scene of Season 1’s dramatic Dothraki Wedding between Daenerys and Khal Drogo, king of the Dothrakis, who soon perished. Unfortunately this may have been a premonition for the tragic collapse of the Azure Window into the ocean in late 2016. The rugged, harsh desert landscapes of Morocco serve as the realm where Daenery’s spends much of her time during Game of Thrones. The sepia toned sand and rock amid dusty wind and rough conditions reflect a distinct character - easy to brush off, but slowly building into a steadfast threat against the rest of Westeros. Three exotic-looking towns in Morocco -- Essaouira on the coast, Ait Benhaddou, and nearby Ouarzazate in the Sahara -- served as locations for the two slave-trading cities, Astapor and Yunkai, which were outsmarted and outfought by Daenerys and her dragons in Season 3. Iceland is a very appropriate setting for the icy lands Beyond the Wall where Jon Snow bravely ventures in Season 3 and beyond. Locations have included rock-lined Lake Myvatn, the Gullfoss waterfall, Svinafellsjokull glacier and the Geysir hot spring. The Dimmuborgir Lava Field was used as a Wildling Camp. And if that wasn’t enough, in real life it is connected to much folklore including being the Gate to Hell, and the home of trolls and other creatures. Who needs Game of Thrones when you have Iceland’s rich imagination? Grjótagjá lava cave is where Jon and Ygritte...you know. And you can visit! TIP: go in the winter when the water isn’t too hot to take a dip. And debuting in Season 7 is Kirkjufell, an ubiqutitous symbol of Iceland, representing the mountain the Hound saw in the flames, resembling an arrowhead. The surrounding natural landscape of Iceland must be sick of hearing every iteration of "You know nothing, Jon Snow" from enthusiastic fans attempting their best Ygritte impression, a fan favorite who perished in Season 4. The vast lands North of the Wall can be found in Vatnajökull, which contains Europe’s largest glacier, in Southeast Iceland. Spain makes its first appearance as a location setting in the 5th season of Game of Thrones, standing in for the city of Dorne. 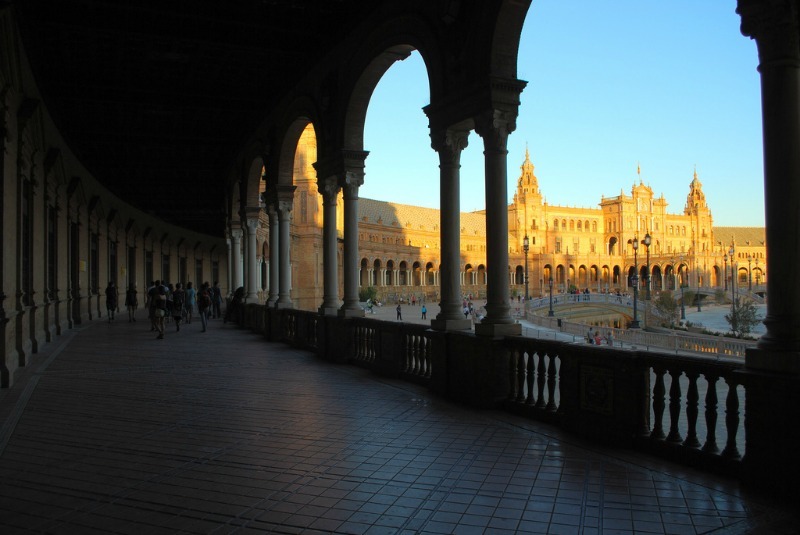 Shooting has taken place at Seville’s Moorish-style Alcazar, a one-time fort turned royal palace, which serves as the Water Gardens of Sunspear in Dorne. The Game of Thrones crew had exclusive use of the Alcazar gardens during shooting, a major concession by Spanish officials since the site already drew many daily tourists. As season 5 progressed, the number of visitors increased exponentially, a similar pattern to what has happened in Northern Ireland, Croatia, and Iceland. A much talked about new location for Season 6 was Girona, Spain. This relatively sleepy town had had minimal tourist activity before Game of Thrones. As the setting for Arya’s intense and character building Season 6 storyline, as she is trained to serve the Many Faced God and become No One, Girona has seen a major upswing in visitors. The use of Spain for filming locations increased in Season 7. Dragonstone, where Daenerys claims her ancestral seat while inching closer to Kings Landing, is an island located in fictional Blackwater Bay. The beaches with stark rock rising out seem like they belong along the rugged coasts of the United Kingdom, but actually were filmed in Basque country, on Spain's northern coast. You can visit Itzurun beach to get your own taste of Dragonstone, though a bit of effort is required. There are a lot of tense moments in Game of Thrones. But one that certainly stands out from Season 7 is the Dragon Pit meeting between Daenerys and Cersei, when the proof of White Walkers becomes irrefutable to those who grew up hearing about them merely as a scary bedtime story. This was filmed near Seville in Italica Ruins, the site of an ancient Roman city. “Tell Cersei, I want her to know it was me”. 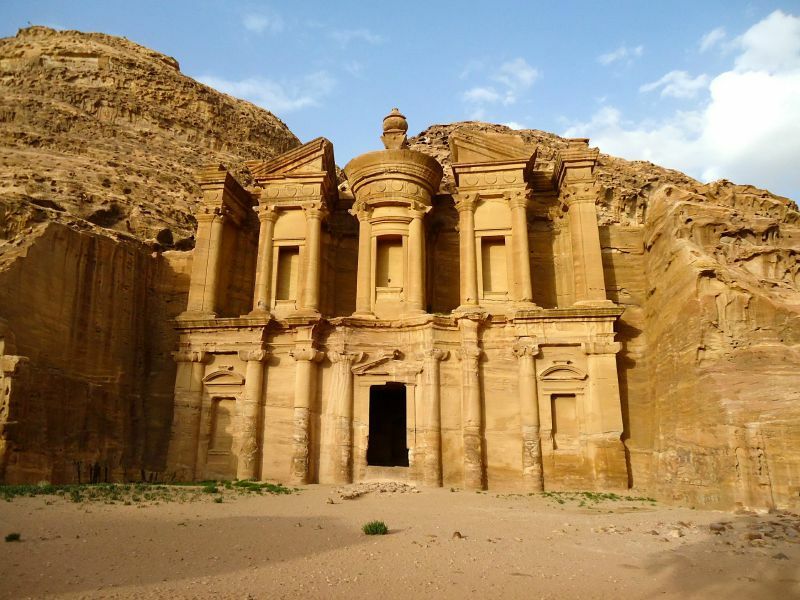 You can put together your own tour of Game of Thrones sites in conjunction with many guided tour operators who plan private or custom itineraries (request a custom trip here! ), or join an organized group that follows a Game of Thrones theme. 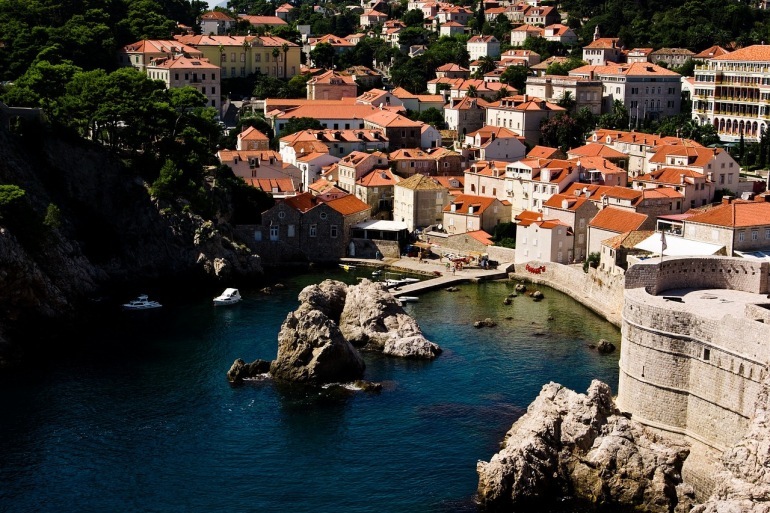 Check out our list of Top Guided Tours for Game of Thrones Fans for inspiration! Thanks for sharing these incredible cinematic scenery. It gives fans a better appreciation of where the stories took place, and just using computer graphics for backgrounds. I hope I can view these places one day with my own eyes!